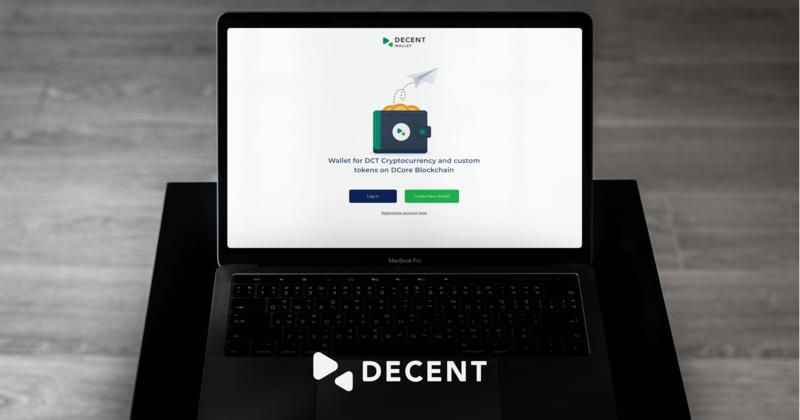 Geneva, Switzerland, October 3, 2018 – DECENT is reaching yet another milestone towards decentralization with the release of its newly designed, feature-packed web wallet, going simply by the name ‘DECENT Wallet’. The company has a proven track record of accomplishing its targets when it comes to the most recent projects in its roadmap. The new web wallet was initially released as a beta version for DECENT’s community to test and explore. Now, with their feedback taken into consideration, the global blockchain company officially releases its new web wallet. The wallet, released on October 2, is fully functional and freely accessible to any user who creates a DECENT Wallet account on wallet.decent.ch. The team has prepared easy, step-by-step guidance to give wallet users the best experience. The DECENT team plans on continually updating the wallet and encourages their wallet users to send feedback so they can continue to make improvements. In the world of crypto, blockchain wallets are a crucial element for users to store their assets. With DECENT’s new web wallet, users can expect security, reliability, quick transactions, an easy-to-use interface and much more.